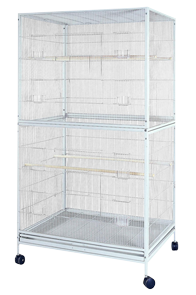 One of the largest simple cage units you can find for sugar gliders is the A&E 40 x 30. 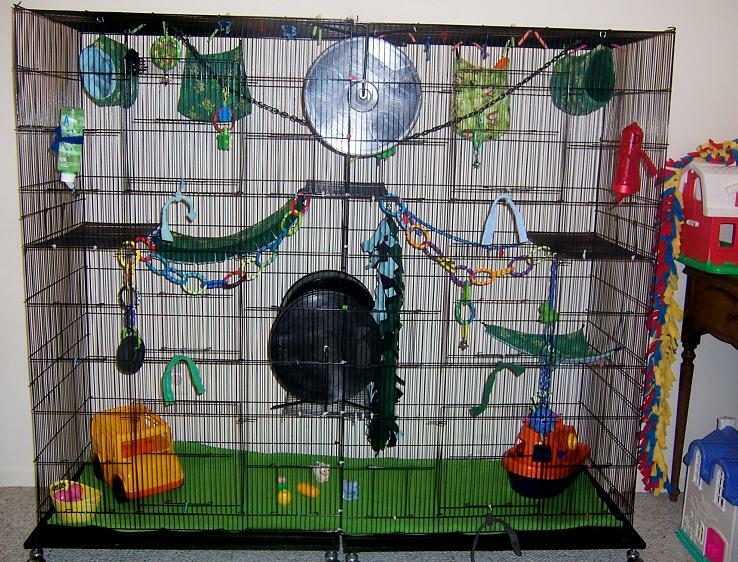 It is ceiling to floor cage and offers the best use of space of any cage out there. Do keep in mind that it might be too big to fit through some doors though, so make sure before buying. Another very good and cheaper option is the slightly smaller Prevue F050. 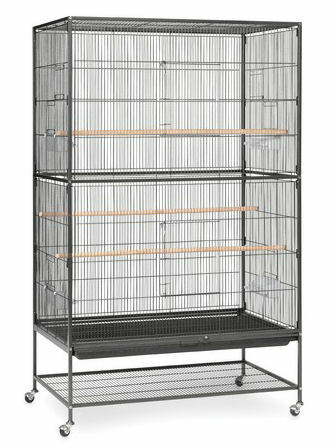 Another interesting cage option is to connect two of the budget tower cages side by side to maximize internal space. HERE is an example of the result. What is in the bottom of the cage is that fleece. I love the cage it is beautiful.. I have one like the one above it. How would you recommend fixing it. Everything that is mostly safe for my babies is fleece. The more bed's for them to sleep the better, and the more toys to play with the better. Also, is the Pro-tea Safari Sunset branch safe to put in the habitat, or do you recommend branches at all? That green thing is indeed fleece. Personally I use plastic mesh on the bottom grate which gives their feet more surface area to operate. They have it at Home Depot. And you can certainly install branches. I have used white-wood fence planks before to make shelves for them to be on.